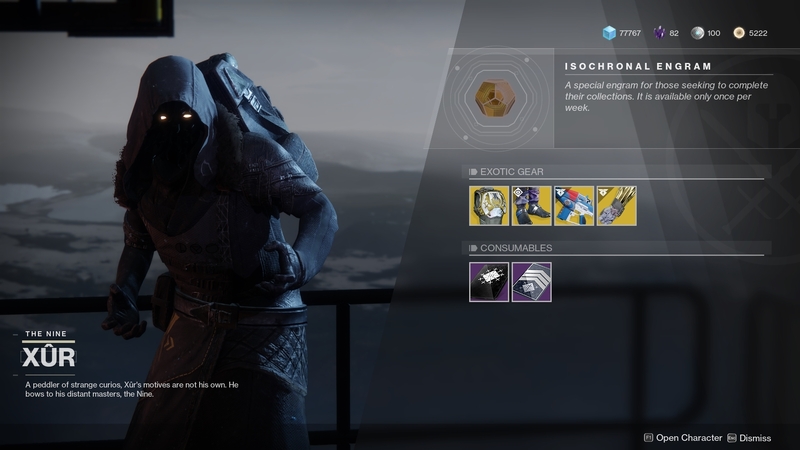 It's the second weekend of Warmind in Destiny 2, and Xur has brought some new items along with him to help further your Exotic collection. These brand new Exotics are remakes from Destiny 1, but they're both useful and fun to use and worth the Legendary Shards. Let's take a look at what Xur has on the weekend of May 18. 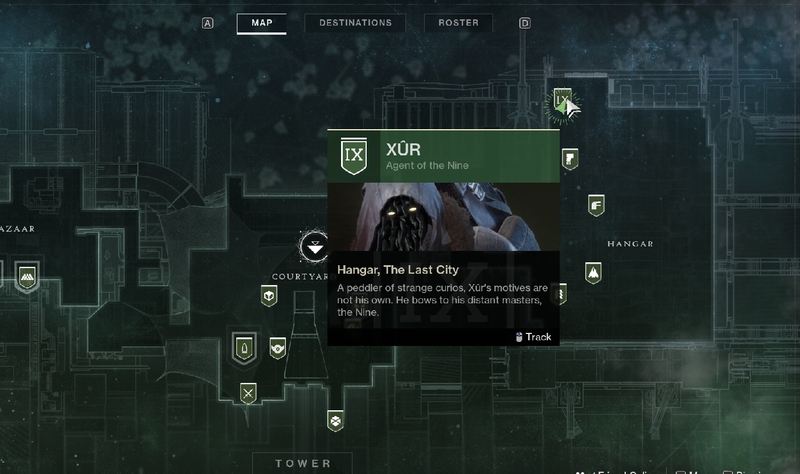 Since this week's Flashpoint is on Mars, Xur is in the Tower in his normal spot. He's standing on a walkway behind the Dead Orbit vendor in the Hangar section. This week's weapon is Suros Regime, a classic auto rifle. The weapon's intrinsic perk, Suros Legacy, makes the bottom half of each magazine deal bonus damage and a chance to return health on a kill. You can also choose to make the gun increase rate of fire while holding down the trigger, or decrease rate of fire for increased damage when aiming down the sights. It's on sale for 29 Legendary Shards. The other new item this week is a Warlock armor, Claws of Ahamkara. These gauntlets are also returning from Destiny 1, and they give you an additional melee charge. They cost 23 Legendary Shards. Hunters get Gemini Jester, Exotic boots. These boots were added to the game in the Curse of Osiris expansion, and their main perk allows your dodge ability to disorient nearby enemies and temporarily remove their radars, making it good for PvP. They're on sale for 23 Legendary Shards. Finally, Titans can purchase the Crest of Alpha Lupi. Yet another returning exotic, this chest piece generates an additional Orb of Light from Supers and a healing pulse when Barricade is activated. It costs 23 Legendary Shards. Suros Regime has always been a fun weapon, so it's definitely worth picking up. The armor pieces are useful as well, so make sure to visit Xur this weekend for his stock.